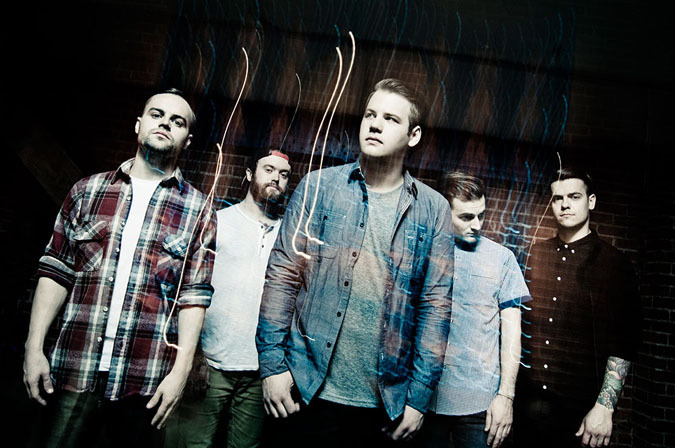 Red Bull Records recording artist Beartooth were one of the many performers slated for this year's "Welcome to Rockville" festival in Jacksonville, FL. The event, now in its fifth year, sold out once again with 50,000 paid attendees over the April 25th and 26th weekend. While Saturday's planned festivities included performances from Fozzy, Exodus, Upon a Burning Body, The Devil Wears Prada and Beartooth, rain delays forced those bands from the main card. Maximum Metal's Eric Compton was able to catch up with Beartooth's vocalist Caleb Shomo and guitarist Kamron Bradbury before the showers came. The two elaborated on the band's debut album, 'Disgusting', which landed at No. 6 on the Billboard's US Hard Rock chart upon its release in June of last year. The album's punk intensity and screaming vocal runs are a poignant statement on regret, physical abuse and depression. The band's solid writing, arrangements and intense touring schedule led to the band's nomination as Best New Band by Metalhammer's Golden Gods and Best International Newcomer by Kerrang!